Edwardian diamond ring from 1910. Product code: 1372 Categories: Sold Items, Sold Rings. 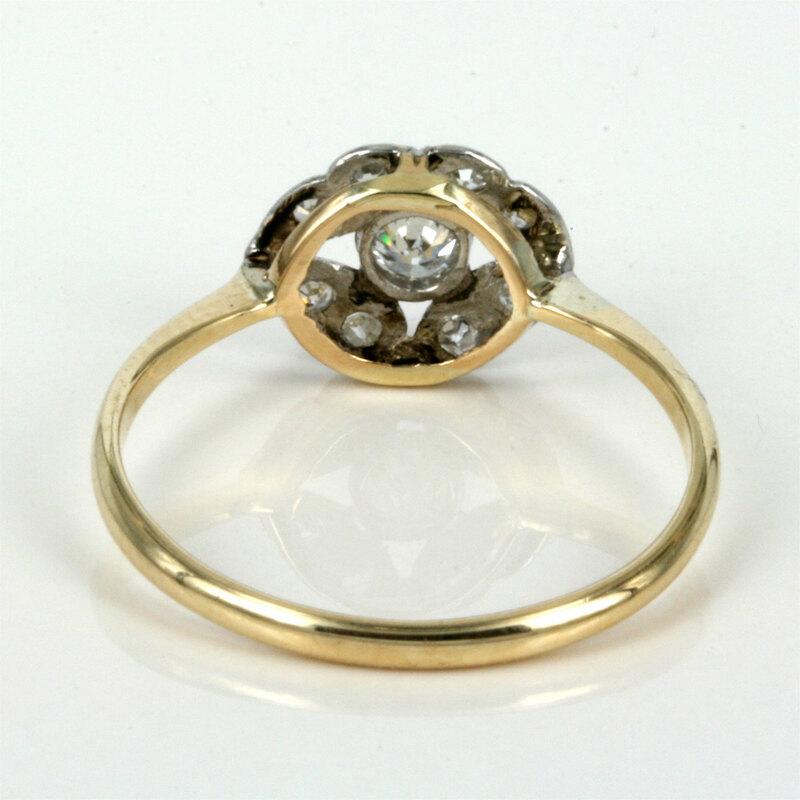 What an attractive Edwardian era ring from the early 1900’s. Sitting nice and flat on the finger, the design itself is just wonderful in that geometric design that has never gone out of style or fashion. In perfect condition, this ring is a great example on an antique diamond ring that is 100 years old, yet stll able to be worn daily. Set with 19 diamonds that total 0.30 carats and hand made in 18ct yellow and white gold, this antique diamond ring is simply perfect for all occasions.